Recently someone asked me why I don’t drink alcohol. I told him that I practiced inner space travel and, if I took alcohol it would keep me heavily stuck on this earth and I’d be unable to even get lift-off. This, of course, confirmed his view of me as a total eccentric, but it’s perfectly true, as Satsangis would immediately agree because inner space travel is, of course, embarking on our spiritual journey during meditation. After mentioning the need to avoid alcohol if we want to do any semblance of centered meditation, we must add that the Master also requires us to avoid mind-alternating drugs, to lead a decent moral life, and to be strict Lacto-vegetarians who do not eat meat, fish, fowl or eggs. These are the four Sant Mat principles required of us, right from the start. Vegetarianism can help you to stay healthy throughout your life. For a person to sit in meditation he needs a healthy lifestyle. Because meditation is a deep process of gaining Sunn. So he needs a sound health for till his Third Eye is opened. As there is a saying “Practice makes a man perfect”, so does it applies to the spiritual path. If a person becomes unhealthy, he cannot concentrate on his meditation rather he needs more rest. So maintaining a good health is necessary. 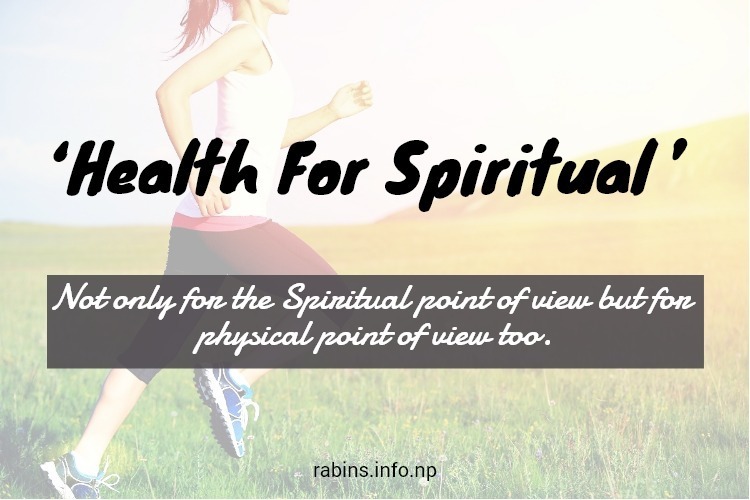 Not only for the Spiritual point of view but for physical point of view too. This is an era of science and technology where hands and legs are being replaced by machines or robots. So we are getting far away from nature and closer to modern-day gadgets. So in order for us to stay healthy, we need to apply some of the followings habits in our lifestyle. Before getting caught by diseases. i.e Prevention is Better than cure. Some methods to cure diseases (also includes the above points).